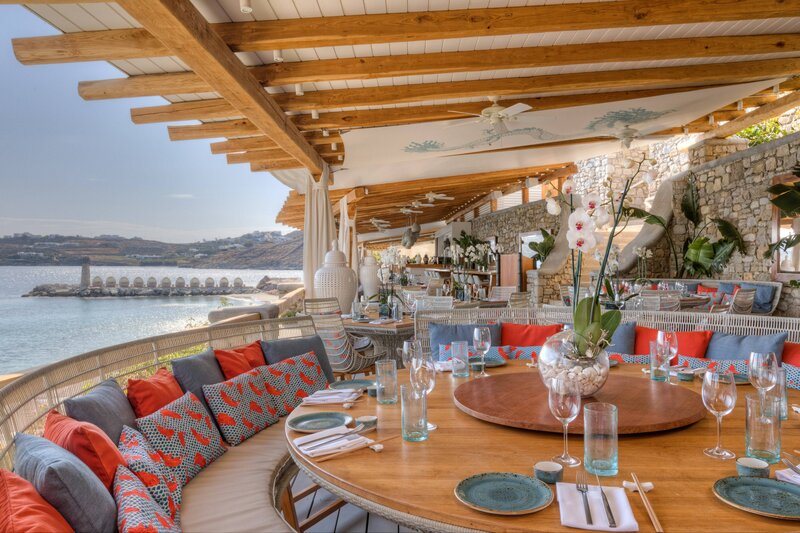 Located on the southern tip of the Greek island of Mykonos, only 3km from Mykonos Town, Santa Marina Resort & Villas, a Luxury Collection Resort has unequalled views across the Aegean Sea. Offering a variety of unique accommodation options, the range includes stylish rooms with balconies offering panoramic sea views, elegant suites, some with private pools as well as luxurious individual villas from 2-7 bedrooms. The inviting infinity-edged Oasis Pool & Lounge and prime dining choices, including the renowned Buddha-Bar Beach and all-day, kid-friendly Colonial Pool Restaurant along with the Ginkgo Spa, set the scene for exceptional moments and treasured experiences. 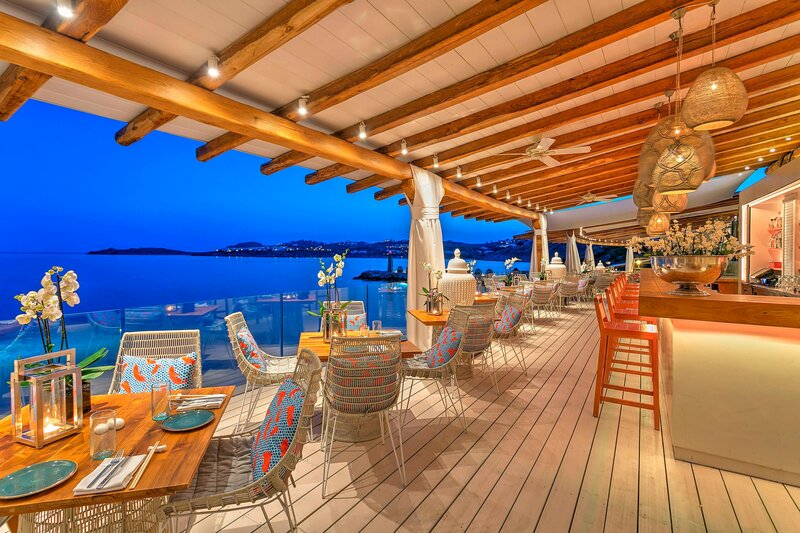 Santa Marina Resort is located on a secluded peninsula of the Greek island of Mykonos. Overlooking the iconic Ornos Bay and the Aegean Sea, we command the only private sandy beach on the island. Elevated above Santa Marina’s private beach, the first Buddha-Bar Beach creates an alluring backdrop for the renowned combination of first-class dining, smooth sounds and inspired cocktails. It is known worldwide and considered to be a destination restaurant-bar that attracts both visitors and non-hotel guests. Offering exceptional Asian fusion cuisine alongside celebrated Buddha-Bar specialities, and world-renowned DJs spinning stimulating beats and the exceptional Buddha-Bar mixologists serving lush, spirited cocktails until well into the night. Offering privacy, comfort and relaxation, the 13 unique Villas at Santa Marina command elevated positions across the hillside and enjoy panoramic views of the Aegean Sea, Ornos Bay and surrounding islands. There is a choice of 2-7 bedroom villas, most have infinity pools and all have outside terraces furnished with teak sun loungers, chairs and tables. 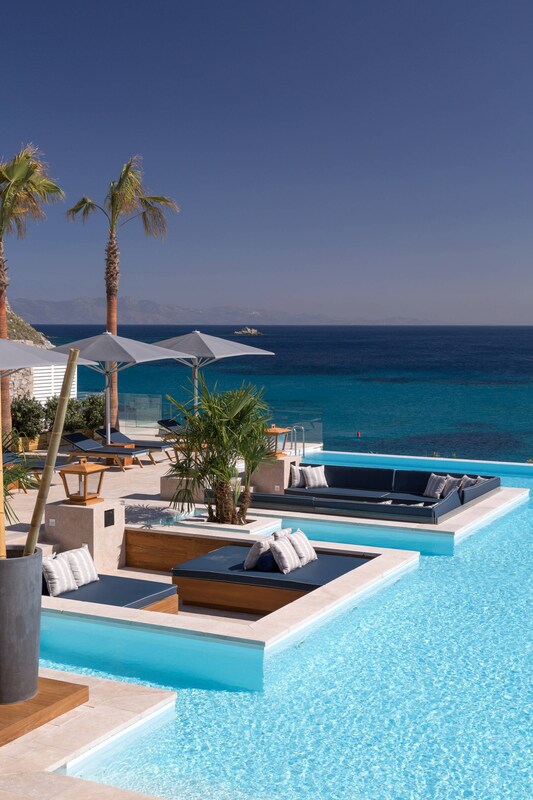 The refreshing Lapis Lazuli Villa is the modern take on Mykonos’ exotic allure. As soon as you first step into this villa, you will feel what the Mediterranean charm is all about; a look at the expansive terrace with the swimming pool and the panoramic views to the bay will take your breath away. On the calm rocks of the hill overlooking Ornos Bay the 3-bedroom Villa Sapphire epitomizes modern design and comfortable living. This exquisite property is spread across two levels taking advantage of the seamless panoramic views. In the 4-bedroom Villa Ruby you will find a spacious accommodation built across two floors with exceptional sea views from its prime hilltop position. 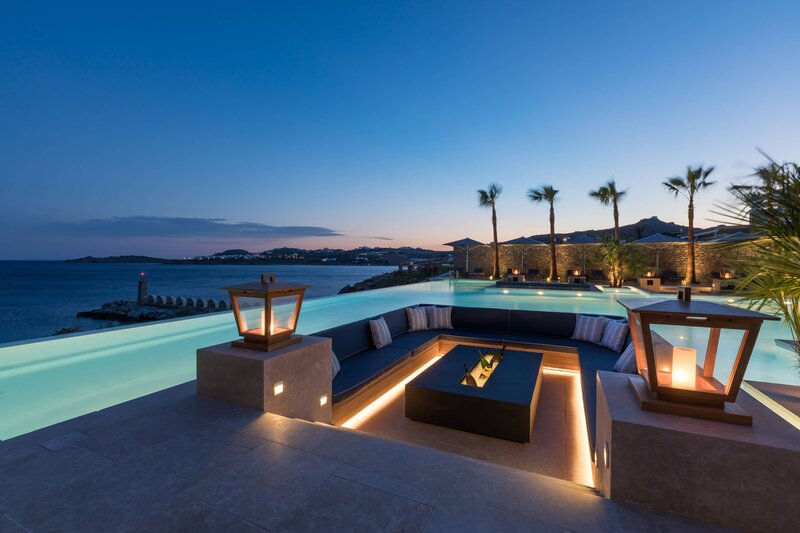 Commanding the resort’s most elevated position, Villa Diamond has been built to take full advantage of its exceptional natural setting, offering majestic views across Mykonos Town, the Aegean Sea and neighboring islands. This 4-bedroom exquisite villa combines alluring views with sleek, modern living in premises that captivate the essence of authentic Mykonos living. With panoramic views across the Aegean Sea from its cliff top vantage point, the 3-bedroom Villa Pearl with its cool, refined design and accents of raffia and light wood offers elegant accommodation. Located in a tranquil setting with sparkling sea views, Villa Turquoise offers privacy and comfort in equal measure. Combining contemporary design with traditional detail, Villa Horizon seamlessly flows across three spacious floors and sweeping terraces, striking the perfect balance between complete privacy and panoramic views. Built on a hill overlooking the sea, the 2-bedroom Villa Coral was designed with the genuine island lifestyle in mind offering private and stylish accommodation. Surrounded by verdant gardens, with ample verandas and a private swimming pool, this chic 2-bedroom villa stands for everything that makes island living a coveted holiday lifestyle. A unique infinity pool with stunning views of the bay gives the resort another dimension for those looking for a lifestyle experience. Furnished with comfortable sun loungers and an expansive sunken area with soft seating, it’s a great place to relax. Framed by the Aegean Sea’s iconic panorama, Santa Marina’s and inviting infinity-edged pool encapsulates the resort’s ultra-stylish ethos. 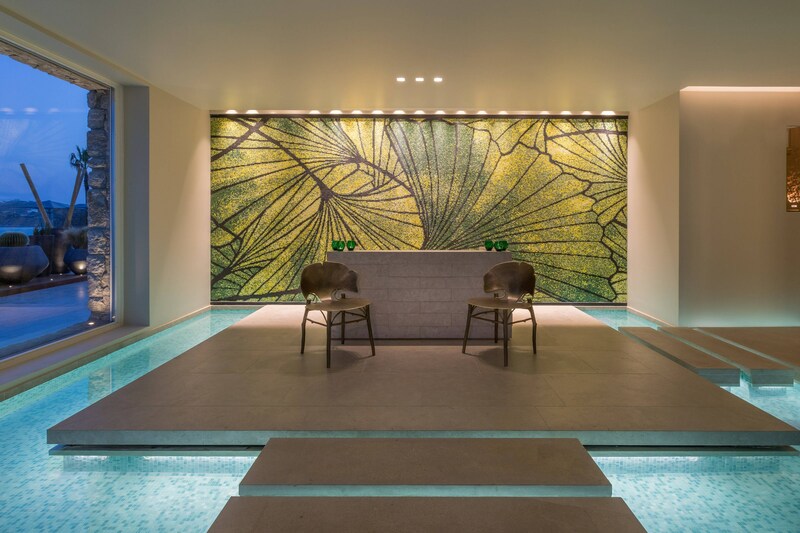 Uniquely designed to offer a state-of-the-art spa experience, the 423m2 Ginkgo Spa, combines a neutral aesthetic with flowing water features to create a balance of energy and calm. 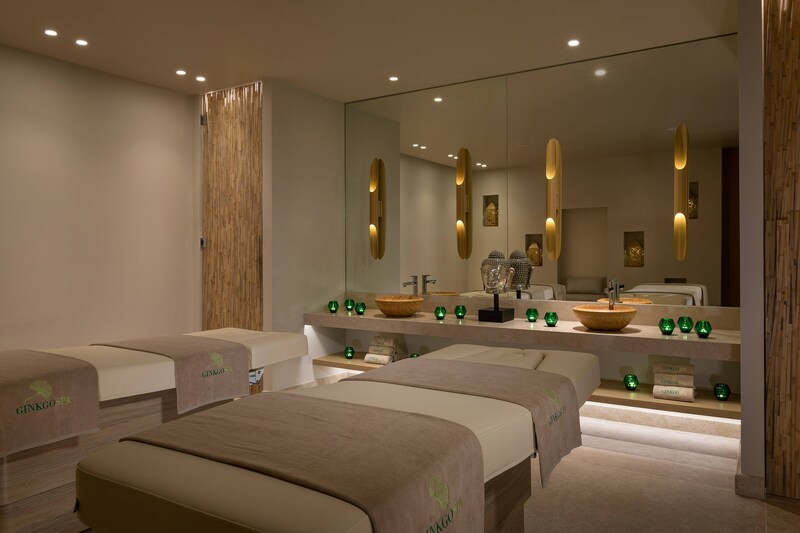 Feel pampered in the Ginkgo’s treatment rooms using ESPA and Phytomer products. 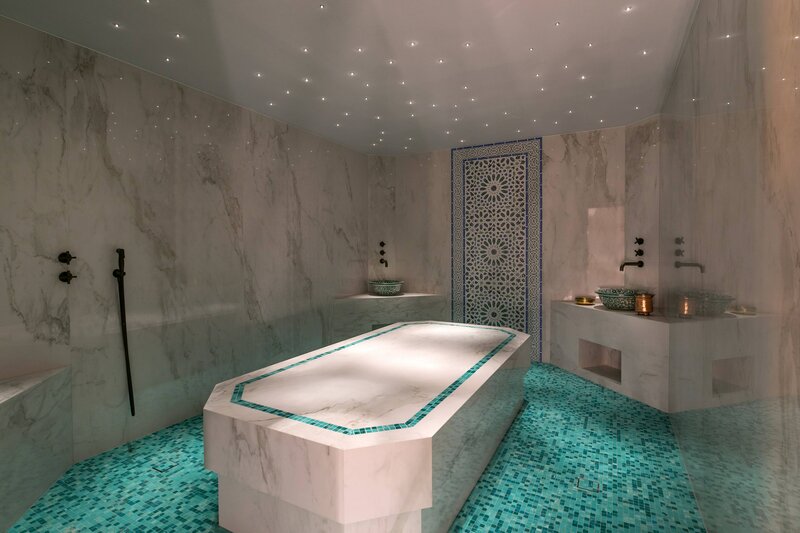 Dip in the mosaic-tiled Hammam, revel in the sauna or deeply unwind in the relaxation area totally immersed in the lulling melody of the sea waves. When exploring Mykonos Island, keep your eye out for some hidden gems.